We are people from all faith traditions and all walks of life. We recognize that the Creator is giving a new Revelation of a size, scope and magnitude not seen on Earth for a thousand years and more. This is a New Revelation from God for our times and for the difficult times ahead. We seek to study this New Message and bring its prophecy, wisdom and practices into our lives, families, faith traditions and into the world’s awareness. We are Muslim, Christian, Jewish and Buddhist. We are young parents, single mothers, teachers, business people, farmers, cabinet makers, unemployed people, nurses, students, artists and retired people. We recognize that God has spoken again to humanity and that God’s Messenger is alive in the world today. We represent a human population that encompasses the entire globe. We are people from North America, South America, Africa, Asia, Australia, Europe. We speak Arabic, Kiswahili, Korean, Italian, Spanish, French, Turkish. Whether in London, Sao Paulo, Denver or Jeddah, we learn, live and share the New Message where we are. We translate the words of God’s New Message and the words of the Messenger into our language. We share its wisdom and profound revelation with others in our city. We are joined through the mysterious presence of Knowledge, our God connection, that moves us to study, translate, support, protect and be witnesses to the New Message from God and its Messenger, Marshall Vian Summers. dimensions and the source of Knowledge in all sentient beings. What is God? GREATER COMMUNITY: We live in a Greater Community of intelligent life in the universe for which humanity must prepare. What is the Greater Community? KNOWLEDGE: Knowledge is the core reality within us, a deeper mind beyond the intellect, and is our direct connection to God. Knowledge represents the part of us that has never left God. What is Knowledge? PURPOSE AND DESTINY: Each of us has been sent into the world for a greater purpose, waiting to be discovered. This greater purpose resides beyond the realm and the reach of the intellect, in Knowledge that lives deep within us. What is human purpose? RELATIONSHIPS OF HIGHER PURPOSE: Each of us has a destiny with certain people to accomplish certain things in accordance with our greater purpose and the needs of the world that we are here to serve. GREAT WAVES OF CHANGE: We stand at the threshold of Great Waves of environmental, economic and political upheaval and change which will alter the face of Earth. Humanity must unite to prevent collapse from within and subjugation from without. MENTAL ENVIRONMENT: We live in both a mental and physical environment. The mental environment contains forces that affect our thinking and emotions and that can dominate us until we become strong with Knowledge. GREATER DARKNESS: An Intervention is underway by certain races from the Greater Community, who are here to take advantage of a weak and divided humanity as it faces the Great Waves of change. As the native peoples of this world, we are called upon to oppose this Intervention and to alert and educate others. THE ALLIES OF HUMANITY: Knowing that humanity is facing an Intervention, God has called upon those free races within our region of space to send their wisdom and guidance to enable humanity to offset the Intervention and prepare for our future and destiny as a free race in the Greater Community. This wisdom and guidance has been provided to the Messenger, who has come into the world to bring Greater Community awareness, wisdom and spirituality to humanity. THE NEW MESSAGE FROM GOD: God has sent a New Revelation, a Teaching and a Pathway to rekindle humanity’s relationship with the Creator as we face living in a declining world. The New Message comes with the Will and Power of God to unite the world’s religions, to end our ceaseless conflicts and to call forth the greater gifts that each person has brought into the world. 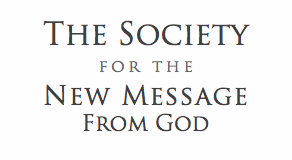 The New Message is the largest Revelation of its kind ever to be given to humanity. THE MESSENGER: God has sent a Messenger into the world to receive The New Message from God and with it the revelation about Greater Community spirituality and wisdom. He is the first of God’s messengers ever to reveal the reality of the Greater Community. He is alive in the world today and needs our support.